Go forth conquering, and to conquer! I didn’t see a good explanation on the web on the general workflow for deploying an nw.js app to Steam, so I made this video. I also mention how to use Greenworks to make it easy to talk to Steam’s API to do authentication and achievements. Firmament Wars Early Access on Steam Begins! Firmament is scheduled for a full release on August 8th, 2018 (8/8/18)! I plan to do bug fixes, optimizations, and add more maps to the game up until that time. If you want to give feedback, join the Neverworks Games Discord Server and give us some feedback in the #firmament-wars channel! Also, if anyone would like to help improve the translations, I am accepting help! 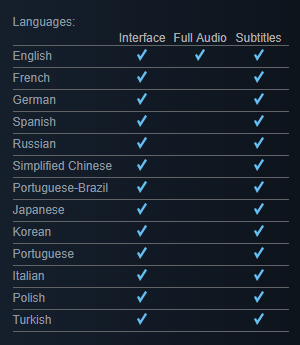 I’d be happy to accept help from anyone that is an expert in the languages shown above. Valve has approved our build and Firmament Wars is now playable via Steam! If you’re interested in joining the beta, join the Neverworks Games Discord Server and request a key. Go to the Firmament Wars channel and feel free to give feedback, make suggestions, and report any bugs you find. Firmament Wars is scheduled for release on July 6th, 2018 for the Windows operating system. Firmament Wars – Official Trailer – Coming to Steam July 6, 2018! If all goes according to plan, Firmament Wars will be on Steam July 6th, 2018. Check out the trailer below! As a small indie development company, Neverworks Games is always looking for ways to keep development costs low. There is a constant need to come up with icons, but I don’t want to use common libraries like Font Awesome too much. I don’t want my games to look like a web page! But I did find an awesome website called Icons8 that has a plethora of free icons. I used them quite a bit in the development of Firmament Wars for its in-game iconography and for its Steam achievements. Where needed I also made minor adjustments to some of the icons such as changing the color to grayscale or rotating their hue, but most of them were used as-is! The development of Nevergrind Online, the co-operative multiplayer sequel to Nevergrind, is still in its infancy, but I thought I’d share this list of class skills that I drew up. The list of spells and skills is much simpler compared to the original. In one sense the design of Nevergrind Online is a more simple, but it’s also more complex in the sense that the game itself will be multiplayer co-op over a network. Like the original, there are 12 races and 14 classes, each with their own strengths and weaknesses. This time around classes are divided into five roles: tanks, physical DPS, magical DPS, healers, and utility roles. Each party will allow for six players, similar to classic EverQuest, the game that originally inspired Nevergrind in the first place. I gave each class a maximum of eight skills or spells. Some classes, warriors, rogues, and monks, only have four skills because they don’t have any magic skills. But I think this could be a good design decision for players that prefer a simple, but effective, style of gameplay. I quickly threw together the list below in a cheesy text file, but I think it’s easy enough to figure out what I have in mind. The skills show what level the skill is unlocked, the name of the skill, and perhaps some additional detail about the skill, such as the spell school or the effect. Leave a comment below or provide feedback if you have any cool ideas! It’s still very early in development, so all of this is subject to change. Credit to PilsnerDk and Shendare from reddit for helping make these available in response to my post. Here’s a video explaining how to export videos with transparency in Sony Vegas Pro 15. You’ll need to use WinFF to convert them into webm format, which will work great as a stinger transition in OBS. WinFF is a free download. 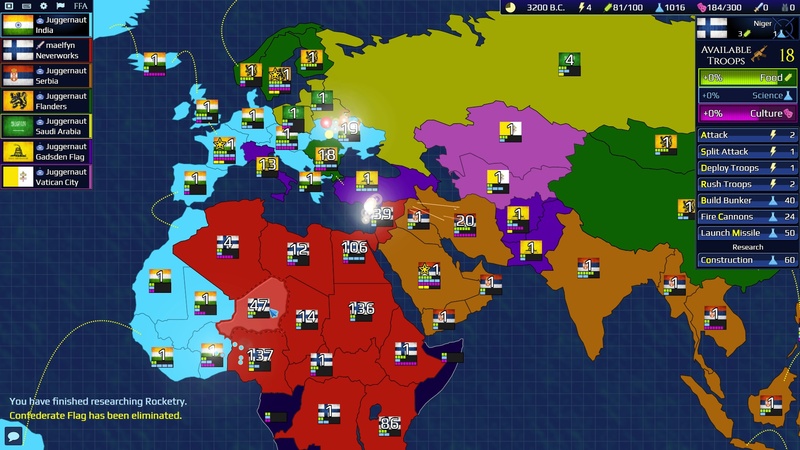 The Ultimate Risk-Like Multiplayer Strategy Game Hits Steam!